Thank you for being readers of our news website. We provide you the latest news in Bethel and the surrounding towns via stories, photos and video, in on-location coverage. We want to wish those readers who celebrate the holiday, a Happy Easter! 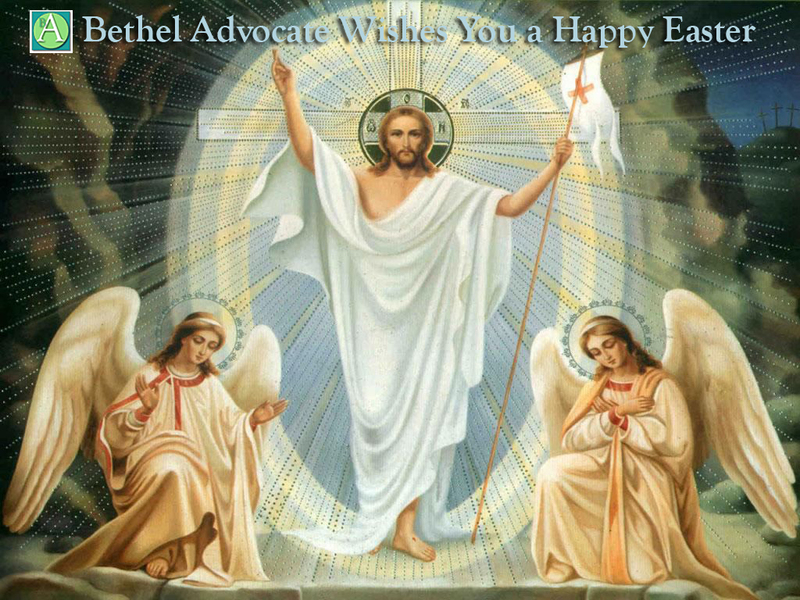 Easter is the greatest feast in the Christian calendar. On this Sunday, Christians celebrate the resurrection of Jesus Christ from the dead. For Catholics, Easter Sunday comes at the end of 40 days of prayer, fasting, and almsgiving known as Lent. Many people think that Christmas is the most important day in the Catholic liturgical calendar, but from the earliest days of the Church, Easter has been considered the central Christian feast. As Saint Paul wrote in 1 Corinthians 15:14, “If Christ has not been raised, then our preaching is in vain and your faith is in vain.” Without Easter—without the Resurrection of Christ—there would be no Christian Faith. Christ’s Resurrection is the proof of His Divinity. Learn more about the history and practice of Easter in the Catholic Church through the links below. Easter is the greatest feast in the Christian calendar. On this Sunday, Christians celebrate the resurrection of Jesus Christ from the dead. For Catholics, Easter Sunday comes at the end of 40 days of prayer, fasting, and almsgiving known as Lent. Through spiritual struggle and self-denial, we have prepared ourselves to die spiritually with Christ on Good Friday, the day of His Crucifixion, so that we can rise again with Him in new life on Easter. That new life began on Easter Sunday. In the Our Father, we pray that “Thy Kingdom come, on earth as it is in Heaven.” And Christ told His disciples that some of them would not die until they saw the Kingdom of God “coming in power” (Mark 9:1). The early Christian Fathers saw Easter as the fulfillment of that promise. With the resurrection of Christ, God’s Kingdom is established on earth, in the form of the Church. That is why people who are converting to Catholicism traditionally are baptized at the Easter Vigil service, which takes place on Holy Saturday (the day before Easter), starting sometime after sunset. They have usually undergone a long process of study and preparation known as the Rite of Christian Initiation for Adults (RCIA). Their baptism parallels Christ’s own Death and Resurrection, as they die to sin and rise to new life in the Kingdom of God. Because of the central importance of Easter to the Christian faith, the Catholic Church requires that all Catholics who have made their First Communion receive the Holy Eucharist sometime during the Easter season, which lasts through Pentecost, 50 days after Easter. (The Church also urges us to take part in the Sacrament of Confession before receiving this Easter communion.) This reception of the Eucharist is a visible sign of our faith and our participation in the Kingdom of God. Of course, we should receive Communion as frequently as possible; this “Easter Duty” is simply the minimum requirement set by the Church. Many Christians think that the date of Easter depends on the date of Passover, and so they get confused in those years when Easter (calculated according to the Gregorian calendar) falls before Passover (calculated according to the Hebrew calendar, which does not correspond to the Gregorian one). While there is an historical connection—the first Holy Thursday was the day of the Passover feast—the Council of Nicaea (325), one of the seven ecumenical councils acknowledged by both Catholics and Orthodox Christians, established a formula for calculating the date of Easter independent of the Jewish calculation of Passover. Question: Easter, the greatest feast day in the Christian calendar, is a moveable feast. When is Easter? When Is Easter in Future Years? If anyone has an announcement or story they want us to run, or cover, or if you see something of interest in town or nearby, or you want to share your opinion on a topic (Letter to the Editor), please contact us at betheladvocate@aol.com or post on our Facebook page here. If you want to send photos you may do that too, jpg format, (just make sure you own the rights to the photos or have permission to publish them) and you will get a photo credit too.